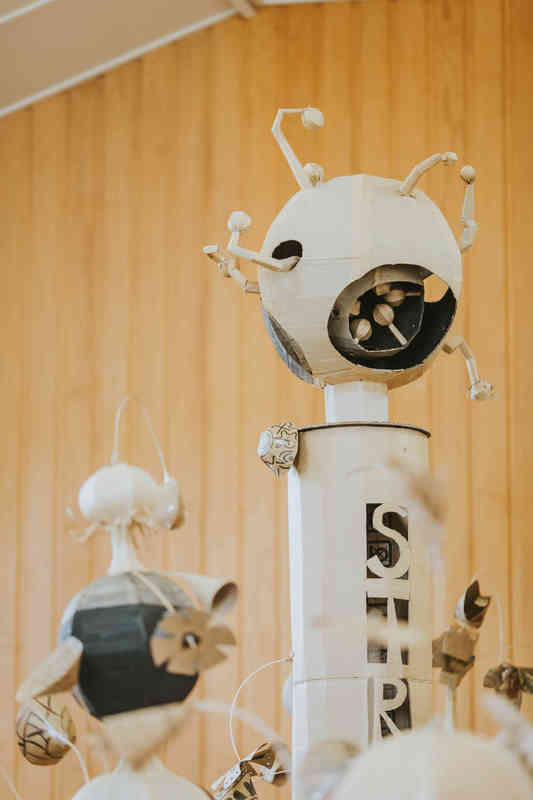 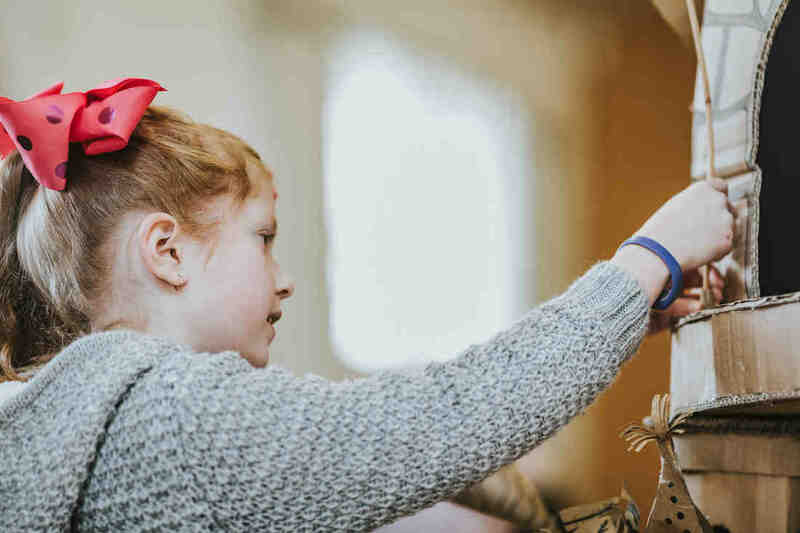 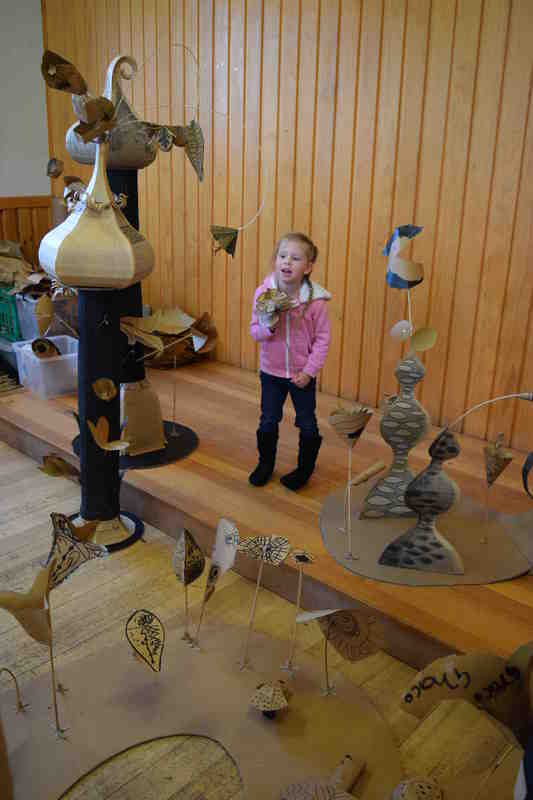 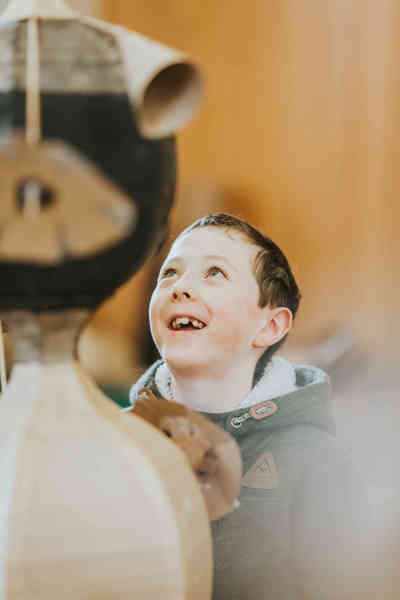 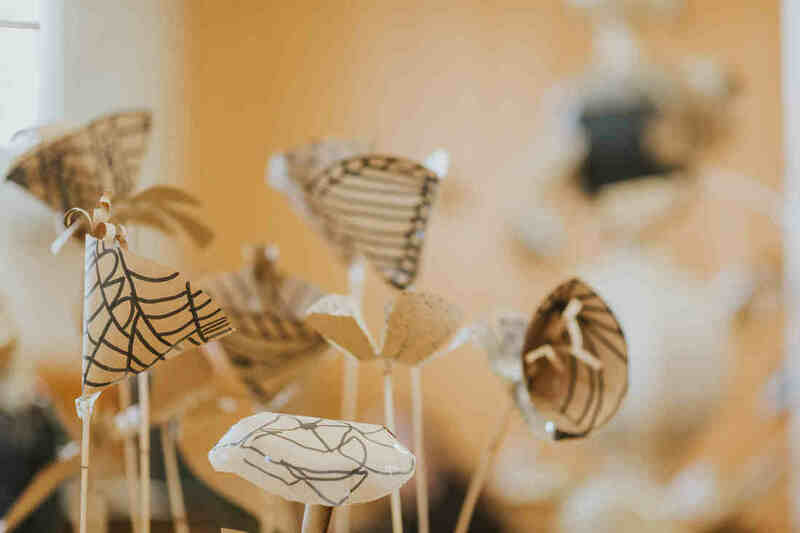 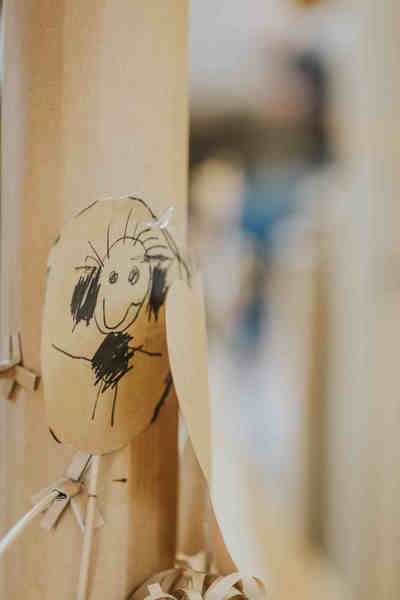 ​Strange Garden is a participatory workshop that engages your community or school in building a beautiful installation out of cardboard, representing an abstract garden. ​Participants draw with black markers on flat, cardboard shapes that are specifically designed to fit together to form 3D organic shapes. 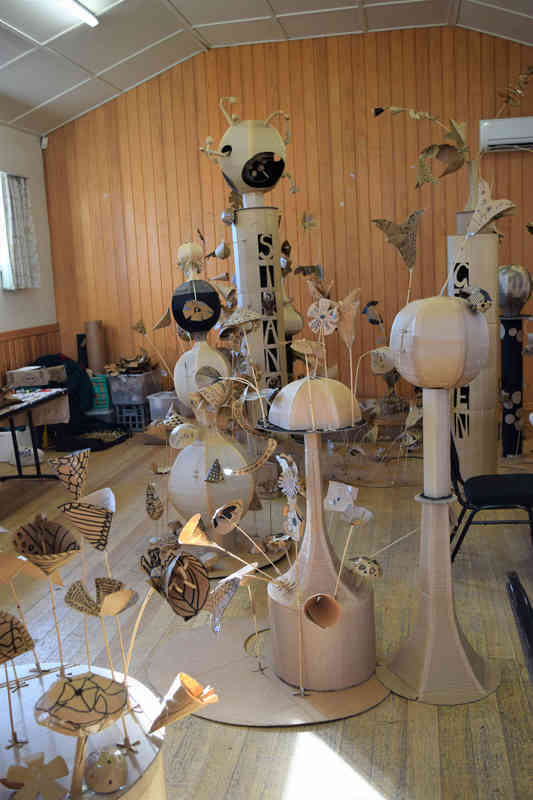 These are added to a large cardboard ‘garden’ growing out of the space, larger, 'starter' organic shapes which are embellished by additions from participants. 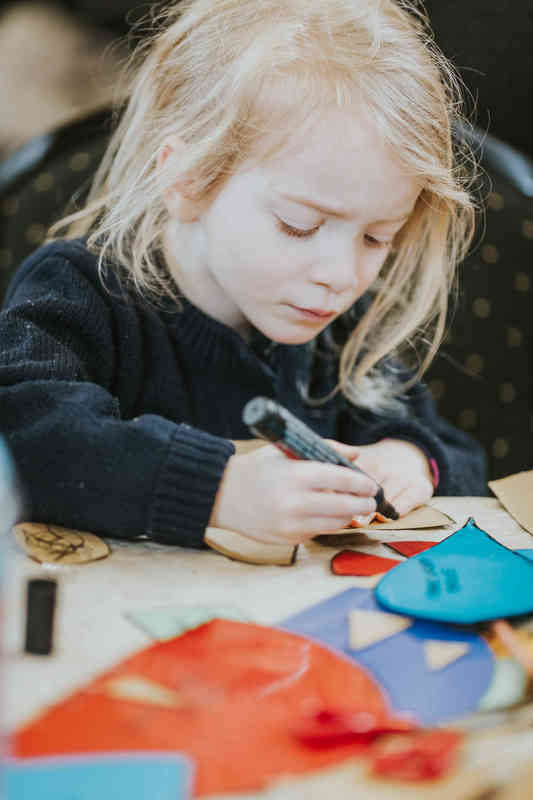 Students start building simple geometric shapes and progress through to more intricate ones with more pieces to assemble. 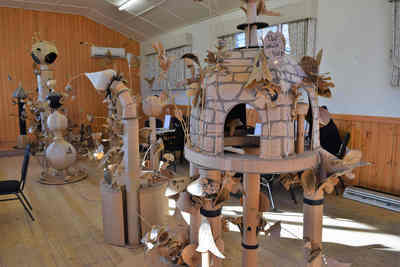 By selecting the complexity of the shapes the workshop is made suitable for any age. 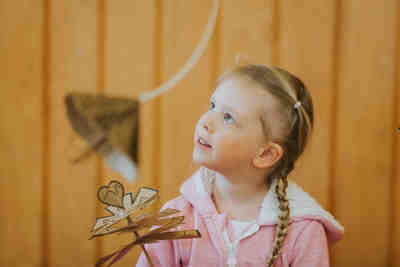 This activity has been enjoyed by participants from age 4 to those in their 80s. 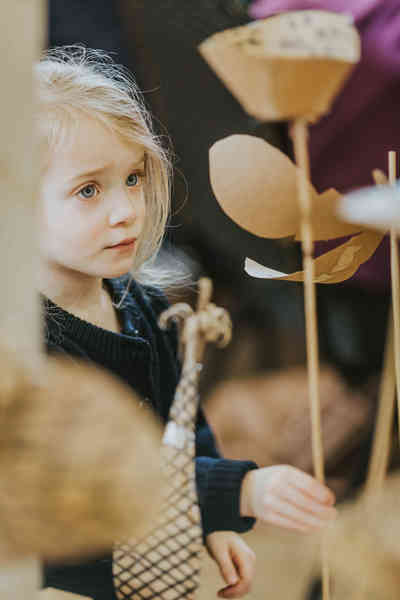 It works particularly well in inter-generational groups with parents / grandparents and children working together to build their 'plants'. Strange Garden grows into a beautiful community built installation that participants enjoy walking through, looking at, playing in and contributing to. 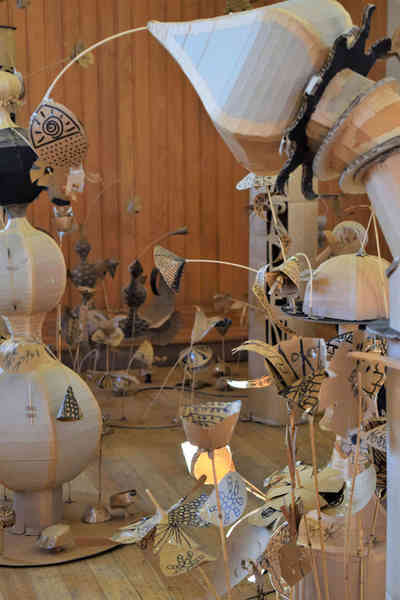 ​Strange Garden for festivals is a drop in workshop, great for working with large numbers of participants.